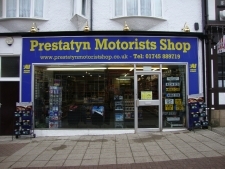 In Prestatyn, Denbighshire, North Wales is an independent motor accessories shop that specialises in the requirements of people that actually work on cars both old and new. 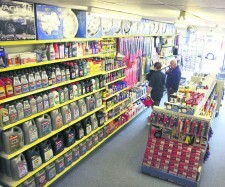 We stock large ranges of car parts, brakes, filters, bulbs, oils, drive belts, wiper blades, car batteries,suspension parts, car audio, seat covers, cleaning products and car accessories. We make number plates and also supply alternators, starter motors, gaskets, drive shafts, cv joints, body panels, door mirrors, light units, and 1000''s of other products. As a member of A1 Motor Stores Buying Group we have access to hundreds of suppliers on terms that allow us to compete with and often beat the largest national chains.